Hitting back at Gandhi, Jaitley said that rescheduling of Parliament sessions has happened several times before during election time. 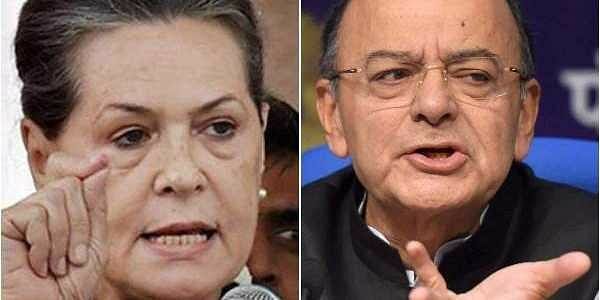 NEW DELHI: Congress chief Sonia Gandhi slammed Prime Minister Narendra Modi on Monday for not convening the Winter Session of Parliament saying he will not escape accountability by locking the temple of democracy, provoking Finance Minister Arun Jaitley to hit back saying the Opposition party too was guilty on that count. “The Modi Government, in its arrogance has cast a dark shadow on India’s parliamentary democracy by sabotaging the Winter Session of Parliament on flimsy grounds. The government is mistaken if it thinks that by locking the temple of democracy, it will escape constitutional accountability ahead of the Assembly elections,” Sonia said during the CWC meeting. Noting that Parliament was the forum where questions about corruption in high places, conflict of interest of serving ministers and dubious Defense deals should be asked, Sonia said the government in order to avoid them ahead of Gujarat elections had taken the extraordinary step of not holding the Winter Session. “The Prime Minister had the audacity to have a midnight celebration in Parliament to launch an ill-prepared and flawed GST but today he lacks the courage to face Parliament,” Sonia said. Arun Jaitley rejected the contention of the Congress chief, saying that the Winter Session of Parliament had also been rescheduled in the past. “The Winter Session of had been scheduled in a way to ensure it did not clash with elections even during the times of the UPA,” said Jaitley.